Fasting is an ancient method of healing that has been practiced for thousands of years. In modern Western culture we have lost touch with these and other ancient mind-body practices, but fasting is making a comeback due to its health benefits. 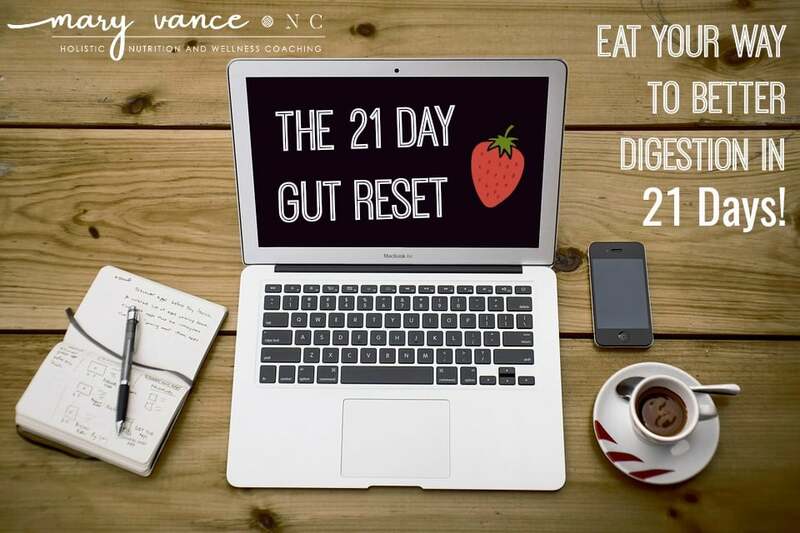 You’ve likely come across intermittent fasting and the scientifically-backed 3 day fast to reset your immune system. Fasting may indeed have some benefits, and intermittent fasting can be beneficial for weight loss, but as with all things diet and health-related, there is never a one size fits all panacea. Women especially may want to more carefully consider using fasting as a health tool. First off: what is fasting? 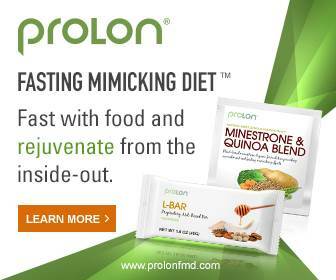 You probably know fasting is willingly withholding food for a determined period of time. Used therapeutically, this is typically one to three days, but mileage varies. 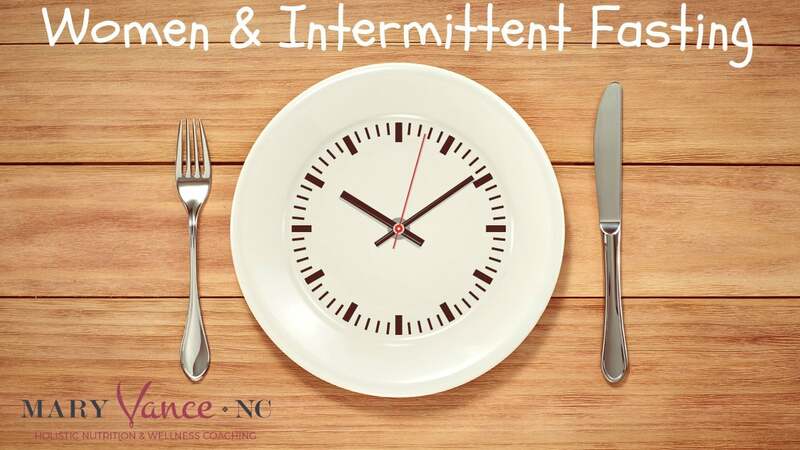 Intermittent fasting (IF) is a little different and involves a brief fast of 12-16 hours. Most of us are fasting overnight between dinner and breakfast anyway, but IF is a little more calculated. Some people eat only during an eight hour window during the day; some take a whole 24 fast; and others simply fast for a specific window overnight. It gets way detailed when you go down the IF rabbit hole. You can read the most popular methods here. Fasting for 12 + hours each day has promising health benefits. It might help extend your life due to cellular and hormonal benefits. It may also regulate blood glucose levels, control blood lipids, maintain lean mass, and assist with weight loss. (source) It can improve cell turnover, reduce inflammation, and assist with appetite regulation. It could also slow the aging process: During the fasting phase, cells die and stem cells are activated, which starts a regeneration process and gives rise to new, younger cells. (source) My personal theory is when you give your body a good 12+ hour chunk of time with no food, especially overnight, it’s better able to focus on detoxification and repair. Also, when you’re fasting, your body relies on stored glycogen for fuel, and when that’s exhausted, it uses the only next best of energy: stored fat. You want this if your goal is to lose weight and burn fat. Regardless, IF may not be the holy grail for everyone. Keep in mind that our bodies want us to make babies and continue to populate the earth. Women especially have delicate endocrine systems that basically drive us to prevent starvation and excessive stress so we can protect a developing fetus. So you can blame cravings and excessive appetite on biology in many cases, but the roots are in unbalanced hormones. If the female body senses starvation or stress, hunger hormones increase to drive you to chow down. IF can trigger this response in some women. Our hunger hormones, ghrelin and leptin, tell us when to eat and when we are full. In fact, imbalances in this pair of hormones is one reason people may binge eat or binge eat at night especially. Women are more susceptible to ramped up ghrelin production after fasting, as we discussed above. 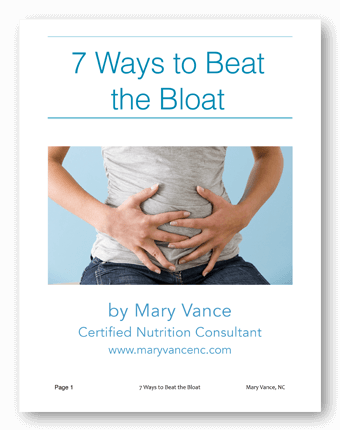 This can cause binge eating in response to fasting and may exacerbate disordered eating behavior. Fasting or IF can affect thyroid function and fertility in some women, especially if it’s not done properly, done too often, or the woman already has weak adrenals or hormone imbalance. In fact, studies on rats show that after two weeks of intermittent fasting, female rats stopped having menstrual cycles and their ovaries shrunk. They also experienced more insomnia than their male counterparts (though the male rats did experience lower testosterone production). (source) Human bodies may not perform like rats obviously, but there isn’t yet much research on IF and benefits for women. I’ve often steered women away from IF, but I do think it has benefits. The key here is knowing if IF is right for you and how to IF properly for your body. In my experience, IF daily for 14-16 hours works very well for obese women; women who have more than 30 pounds to lose; and women with high blood sugar and high lipids. Who should not IF: If you have a history of eating disorders, you have hypoglycemia, you have adrenal fatigue or hypothyroidism that’s not yet dialed in, or you’re underweight, you may want to think twice. Women who are pregnant, want to become pregnant, or who have had trouble conceiving should steer clear of IF. If you’re a woman who is normal weight for your height, or you have 10 or so pounds to lose, the best way to IF is a few non-consecutive days weekly. This means you don’t need to IF every day, only two or three days a week let’s say. You’d fast for 12-16 hours (aim for 14-16), which actually isn’t that difficult. It means you stop eating after dinner at 7pm and then don’t eat anything again until 7am earliest the following morning. Easy, right? You can have water, coffee, or tea, but no milks or sweeteners in these liquids and nothing else. I myself follow this schedule a few times a week: I finish dinner around 6 or 7pm the previous night. I get up at 7am, and I often work out (burst training, sprints, for 15-20 minutes) in a fasted state to further ramp up fat burning, then eat breakfast around 9-10am. It works great for me and I feel good when I do this. This plan also improves insulin sensitivity. If you’re a woman and you have more than 30 pounds to lose, you can try IF more often, 5-7 days a week even. You also have the option of fasting one full 24 hour day a week. There are many different options; you just need to see what works for your body. If IF is working for you, you should notice weight loss (if that’s your goal), improved blood sugar balance (works best if you can monitor this with a glucometer), energy boost, good sleep. You feel good. If you were going for a full 16 hours, try just 12. If you were doing it every day, try only 2-3 days a week. Make some adjustments and revisit. If it’s still not working, you can add in some adaptogenic herbs to support your endocrine system. Of course, not everyone needs to IF. But I do recommend at least a 10 hour fast overnight to give your body a chance to repair itself while you sleep. It can’t focus on its night duties when you have a belly full of food to digest. That’s one reason people don’t sleep well when they eat a big meal and go to bed. If you have tired adrenals or hypoglycemia, or you can’t sleep through the night, you may need a small before bed snack to support blood sugar, and that’s a sign that you should work on regulating blood sugar and nourishing your hormones before you can successfully IF. Have you tried intermittent fasting? Please share your experience! I have not tried it but read about it and have want to try it. Based on what you are doing here, I think I will try it this week and see what happens. Just the 12 hours every other day. I am only trying to break through these last 10 lbs. And funny enough, I am not the person to want to eat a lot first thing in the morning anyway so I will see. Thanks for sharing this. I use this on a daily basis with weekend breaks or just 10-12 hour fasts. I sleep well, have a lot of energy, exercise daily (walk/run 5-10 miles a day, lift 3-5 days a week). Makes meal prep easy and though I eat healthy I can afford to bend some if I want. I also have hypothyroid and I have not had it bother that. I have become more dedicated the last two months and have lost 12 lbs ( I also gave up alcohol). I think it’s worth a try, starting with 10 hrs and slowly moving up…hope this helps! Let us know how it goes, Kimberley! I have done IF for a good 6 months now and I’m definitely an advocate. I don’t really have weight to lose but I lost a few pounds when I first started. Eventually, I did have changes in my menstrual cycle which I was pretty concerned about because I’ve been on the pill for 6 years, making this highly unusual for me. I’ve wondered if it could affect my ability to conceive down the road. This is my second week doing 16 hr IF, with weekend breaks only and so far i feel great. lost 4lbs.. I have been doing Keto and IF for 3 months, had lost 10 lbs then hit a plateau. The past 3 days I increased my IF window from 16 hours fasting to a 20/4 hour fast and have lost 4 lbs. I intend to do this another 2 days and hope to lose another 2 lbs. which will leave 5 more lbs to reach my goal of 125. Pat, that’s great! Alternating fasting times can help. I’ve tried IF for 3 days, and my period came sooner. So i’m wondering about the IF impacts on women’s fertility. Does it affect estrogen negatively? Linh, not that I know of regarding estrogen, but IF can stress the endocrine system in certain women, and that can cause cycle irregularities. It may be that you need to shorten the IF window or only do it a few times in a week, not on consecutive days, etc. Can you do a 1200 calorie diet with if? I like to try if along with a 1200 calorie diet. Sandra, I can’t tell you what calorie intake is appropriate for you without knowing more about your health status. I will say that eating below your basal metabolic rate (the base amount of calories it takes you for basic metabolic functions like breathing, etc) consistently can damage your metabolism. Normally I’ve always been fasting for ca 12 hours without even knowing that it’s a fast 🙂 When IF trend started I actually tried it as part of the 21Day challenge for few days a week. Since I have some eating disorder history I was afraid to do it too much, exactly like you said. Now it’s been a couple of months and I decided not to do strict IF, but sometimes try to eat earlier in the evening to prolong my fast to 14-15 hours. I find this works best for me instead of skipping breakfast, which feels more of a sacrifice for me and puts my body (and the brain) into an uncomfortable position. 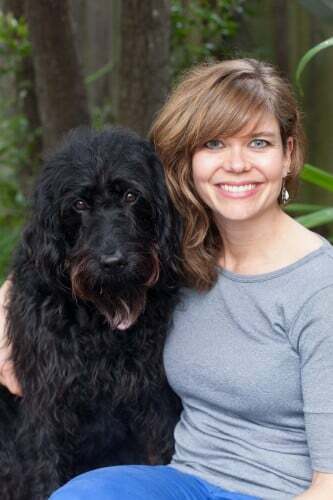 As for the hormones, I listened a podcast interview on 21DayHero show with Dr. Megan J. Ramos who said that women should adapt eating to their cycles, which was very interesting! I actually noticed that indeed on some weeks I need more food and hence cant do IF, while on other weeks I’m completely fine & can fast! Can you comment anything on this? Hi Dovile, I completely agree that we should eat to support our cycles. There are a number of foods you can rotate in to support the follicular phase, ovulation, luteal phase, and even foods to avoid or include during your period. (See seed cycling, for one). You may also notice appetite fluctuations during your cycle as hormones ebb and flow, affecting blood sugar levels.